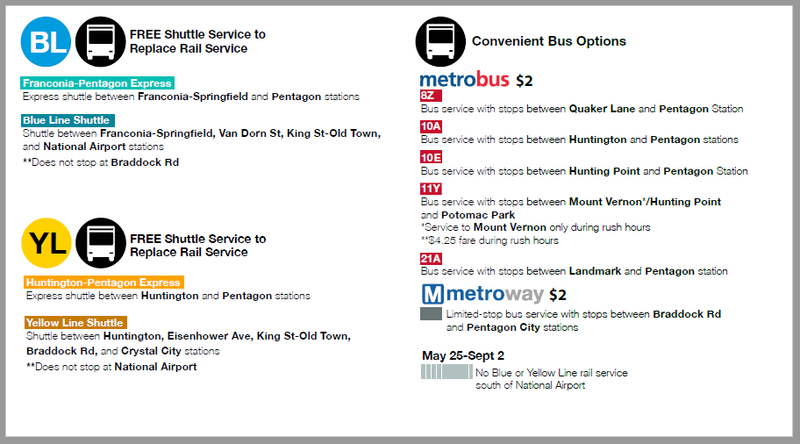 During Summer 2019, there will be no Blue or Yellow Line Metro service south of National Airport from Saturday, May 25, to Monday, September2, 2019. 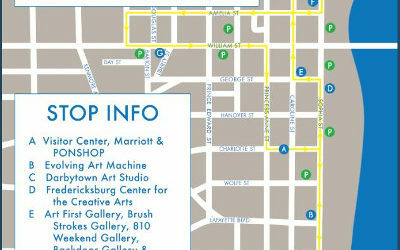 Metro will have free shuttle buses available, however, this is a perfect time to try out a vanpool! Get your listing now by filling out our form: GWRideConnect Commuter Pool Request. 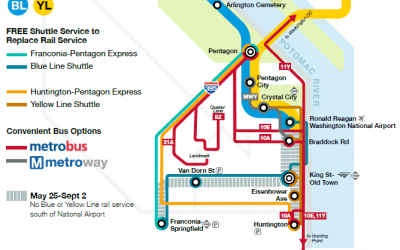 Starting Saturday, May 25, the six Blue and Yellow line stations south of Ronald Reagan Washington National Airport will be closed for full platform reconstruction and major station improvements. To expedite construction and minimize customer inconvenience, the following stations will remain closed through Labor Day, Monday, September 2. The station closures are part of Metro’s three-year Platform Improvement Project that will completely reconstruct the outdoor platforms at 20 Metrorail stations, making platforms safer and more accessible for customers with disabilities, while also addressing safety concerns and longstanding structural issues. FREE Shuttle Service will be available but please note that the Yellow Line Shuttle does not stop at National Airport and the Blue Line Shuttle does not stop at Braddock Rd. For more information, please visit www.wmata.com/platforms where commuters have access to project details and an alternative travel options planner.